Today I am posting more pictures and paint colors from the UV Parade of Homes. This one was my very favorite home we went through for lots of reasons. I loved that it wasn’t way over the top – it was decorated very tastefully, not too cluttered, it wasn’t huge like some of the other houses we walked through, only a mere 6,000 square feet, ha! I loved the dark wood combined with the white cabinets and trim throughout the home, the paint colors were pretty similar, but they didn’t feel too overpowering or monotonous. I loved going through the pictures again and remembering how much I loved it. As I mentioned in my last post, I went with my sister and Mom, this was their favorite home too! You can see 320 Sycamore at the bottom each picture, my sister posted her tour here with lots of awesome details and I am providing the paint colors, so thanks for stopping by! I hope you enjoy this home as much as we did. The main color that was used throughout a majority of the home was Silver Strand by Sherwin-Williams at 50%. It looked beautiful with the dark wood, and the white trim. Everything felt very open, light and airy. I LOVED the kitchen cabinets! They were gorgeous. 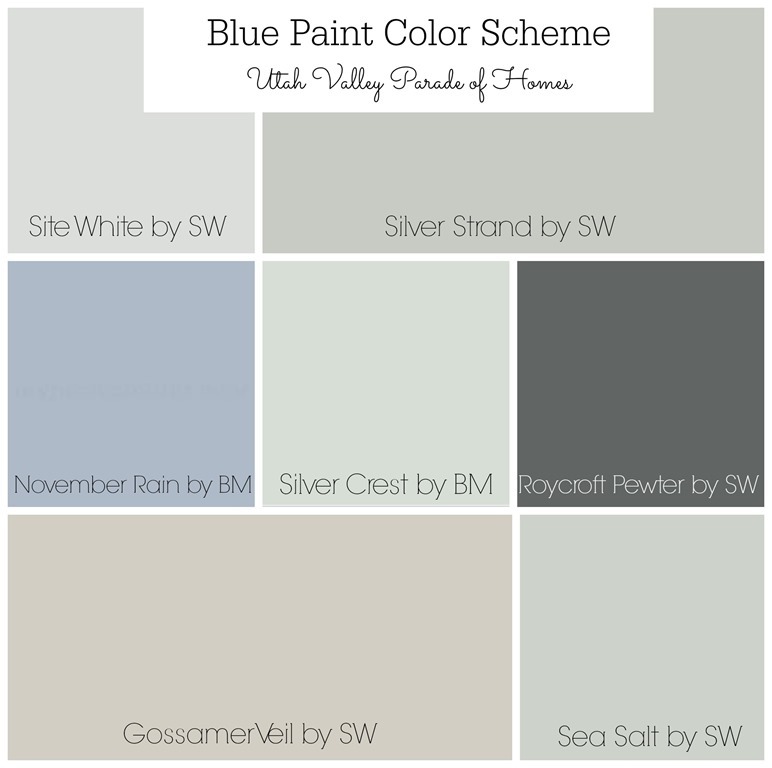 To see past homes and paint colors from the Utah Valley Parade of Homes, see here. I will be posting more homes and paint colors next week. Have a wonderful weekend! !